In honour of the Winter Olympics, and my recent holiday in Chamonix, this month’s images have an alpine theme. They are taken from the W. Riley Archive (RIL) and the Peart-Binns Collection. Willie Riley, later to write “Windyridge” and many other novels of Yorkshire life, visited the Alps in July 1911 with his wife Clara and two friends Florence and Ethel Bolton. The Boltons had recently lost their parents and a sister, and spent much time that year with the Rileys. It was to help cheer these two the following empty winter that Willie began “Windyridge”. The Alpine visit was a tour arranged for the party by Continental Travel. It included Basel, Lucerne, Andermat, Zermatt, Chamonix and Geneva. 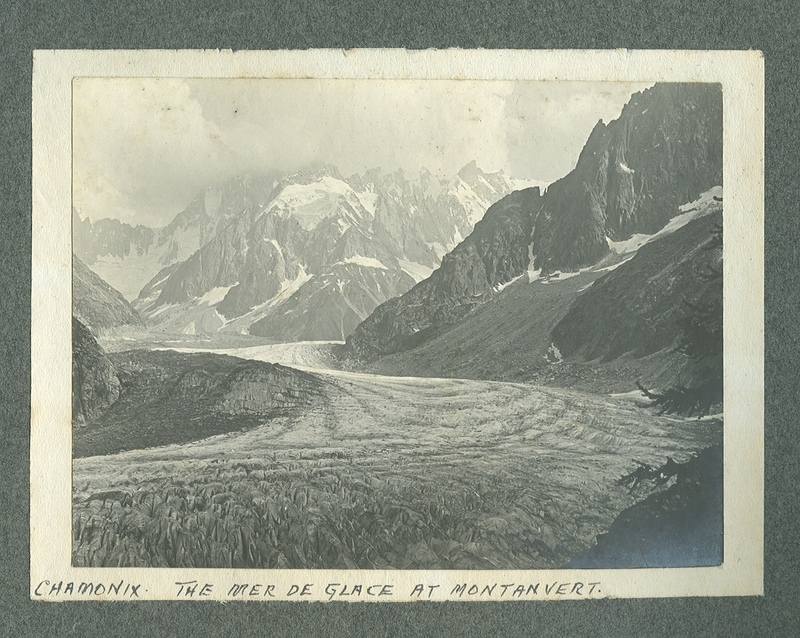 This image shows the Mer de Glace (France’s largest glacier) at Chamonix. This along with many other photographs were collected into an album by Willie along with postcards and ephemera of the journey, and labelled “Sweet memories of July 1911”. Christian socialist writer Maurice Reckitt and his brother Geoffrey became involved in amateur theatricals while holidaying in the Swiss town of Villars-sur-Ollon. In particular, they took part in the Villars Revue, first held in 1914 in imitation of successful ragtime revues, and revived 1920-1931. Maurice Reckitt wrote lyrics and performed on the piano. 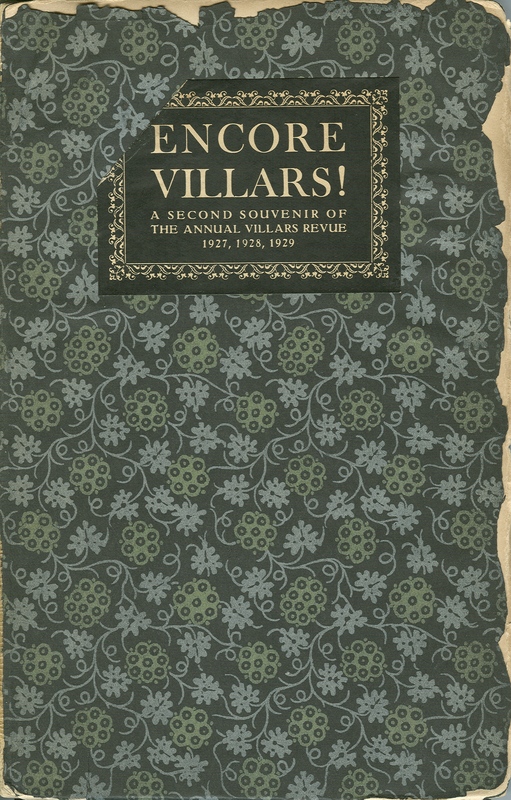 Souvenirs of the revues were privately printed as Hullo Villars! Encore Villars! and Au Revoir Villars! , each featuring a retrospective by Reckitt. The performances were rich in ski-themed parodies of popular songs e.g. “You made me shove you” (a skating duet), “Let’s do it (let’s go and ski)”. This entry was posted in Image of the Month, Literature, Riley, Willie and tagged Alps, Chamonix, Mont Blanc, Reckitt, Riley, Ski-ing, Switzerland, Theatre. Bookmark the permalink. You learn something new everyday:-) The Chamonix Yorkshire link goes down particularly well in our house. Thanks!